The San Diego County Board of Supervisors is scheduled Tuesday to consider a resolution backing the Port of San Diego‘s bid to host the 2017 America’s Cup yacht races in San Diego Bay. San Diego is one of two finalists for the 35th America’s Cup, with the competition coming from Bermuda. The event was held in San Francisco Bay last summer. San Diego hosted the event in 1988, 1992 and 1995, but those regattas were held in the Pacific Ocean off Point Loma. 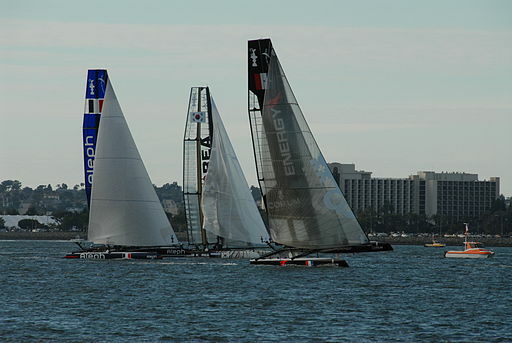 This time, the yacht races would be held in the bay to make the America’s Cup more spectator-friendly. “We welcome the international exposure associated with hosting major sporting events like the America’s Cup because it brings tourism dollars to San Diego and it increases the reputation of San Diego as a great place to travel,” Supervisors Greg Cox and Dave Roberts wrote in a memo. The San Diego City Council is scheduled to consider a similar resolution at a special meeting Thursday.